The real estate market has highs and lows and the right agent will know how to help buyers and sellers navigate the current trends. During a competitive buyers’ market, your agent should do everything in their power to help your offer stand out from other offers. A great way to stand out from your competition is to write a personalized letter to the sellers and have your agent send it along with the offer. In many cases, the buyer would like item(s) completed and paid for by the seller prior to purchasing the home. If the seller does not have the cash flow to pay for the item(s), what happens then? A great solution, which many people may not know about, is to have the technician performing the work, be paid out of the seller’s proceeds at the closing. This ensures the work is completed prior to the closing and both parties are satisfied with the solution. During the real estate transaction process, buyers and sellers usually need recommendations for inspectors, tradesmen, and financial service professionals. As an agent, you should have a list of people you trust and can recommend for these services. If the people you recommend perform quickly, honestly and well; this will reflect back on you. Hopefully, if you recommend these people, they will recommend you and send business your way as well. 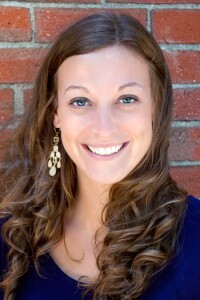 Katie Kinney is a Broker with Landing Real Estate. She represents buyers and sellers in the Greater Portland Area. For all your real estate needs contact Katie Kinney at katie@landinghomesmaine.comor 603-205-2276.